They say that young people in Japan are no longer interested in film. Aiming to break this trend, TIFF launched the new Youth section in 2016, and began organizing screenings of films that had important messages for children, as well as their parents. Following the success of that section, the festival decided to do something even more in this anniversary year: organizing a film workshop. 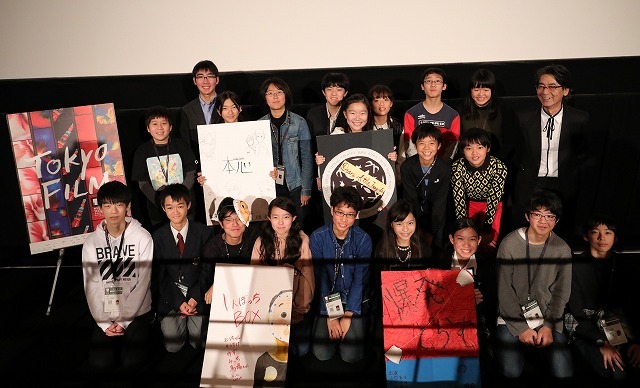 As documented in the 30-minute documentary When a Film Is Born by Takashi Nishihara, 23 junior high students gathered in Tokyo’s trendy Daikanyama district during summer vacation to experience the adventure of filmmaking over 9 days. Divided into 4 groups, these soon-to-be filmmakers learned to write a script, shoot a scene and edit footage from the project’s lead mentor Nobuhiro Suwa, the renowned filmmaker of 2/Duo, M/Other and The Lion Sleeps Tonight. 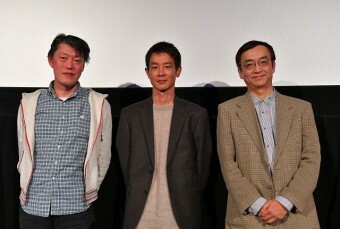 The first film screened was Lonely BOX by Team YELLOW, the story of a schoolgirl who happens to see a masked man. 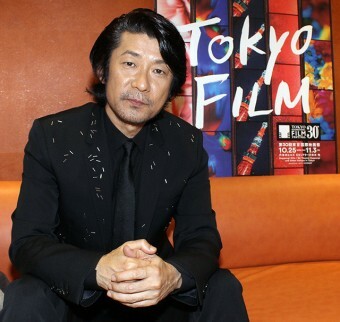 The film comes across as a J-horror work, reminiscent of Kiyoshi Kurosawa’s masterpieces, about how nightmares can invade our reality, and how we must pay for our own actions. According to Yuzu Hattori, the leading actress, the team came up with the idea when “one of members saw a scribble, which said ‘lonely box.’” The entire team built the narrative together, inspired just by this one found-concept on a street. Team RED directed Diary of the Tragedies, the 9-minute story of a man with memory loss. About half of the film is a single long-take in which the protagonist notices the diary of Astrid, who was assassinated under the dictatorship. 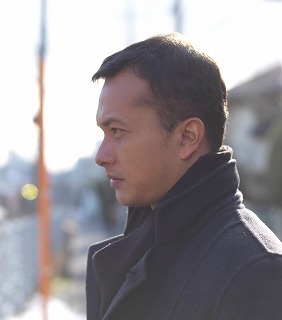 Quietly scary and politically minded, the film dramatizes a man’s struggle in a suffocating country, as if a social-realist filmmaker is depicting the PTSD of Japan’s Jason Bourne. 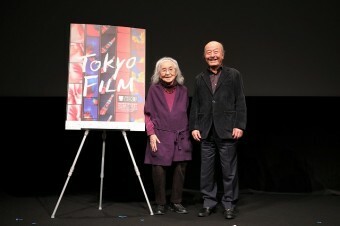 The inspiration for the film came from a self-introduction during the workshop, in which Haruka Ito, who plays Astrid, presented the basis of this story. “I was reading George Orwell’s 1984, and got inspiration. Currently I don’t reside in Japan, and where I live now is not politically stable. But maybe I should not say this in public,” laughed Ito. Manami Uehara, the leading actress of Hidden Feelings, made a memorable speech in English after her film: “Thank you for watching. 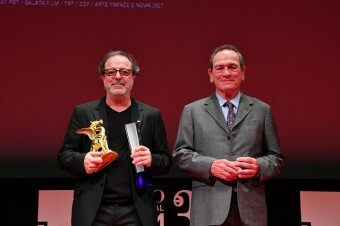 This movie is not perfect but this movie we made [working] hard is my treasure in my life.” It was a pleasure for both the filmmakers and spectators, and that is how cinema should be.